We’ve got a lot to look forward to in the new year, including the opening of the long-awaited One World Trade Center. The tower’s construction has faced many obstacles over the past few years, but developers say it will finally be set to open some time in 2014. The new buildings are part of the healing process, "they" only would have won if the damage had not been replace and the author of the damaged not "dispatched." The park and the footprint monument are a place of reflection and solace for those with lost loved ones. May I offer the ANZAC pledge. "They shall not grow old as we that are left grow old. Age shall not weary them Nor the years condemn. At the going down of the sun and in the morning, we shall remember them. Lest we forget." 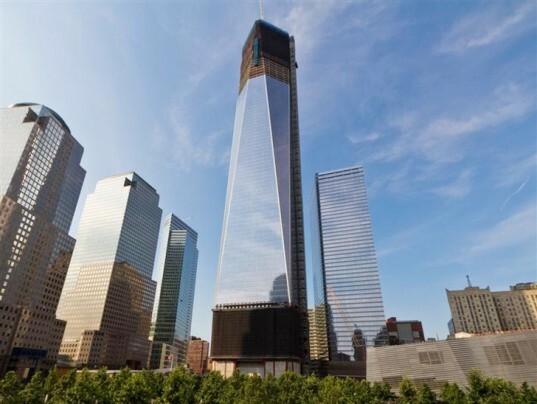 We've got a lot to look forward to in the new year, including the opening of the long-awaited One World Trade Center. The tower's construction has faced many obstacles over the past few years, but developers say it will finally be set to open some time in 2014.